The Egyptian Goddess braids , The Latest Trend (Photos) - BlogIT with OLIVIA!!! Matter of fact, I'm opting for this braids as soon as I take off my fauxlocs braids out. 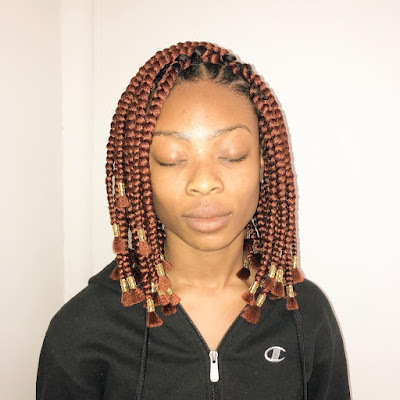 Guys, I literally sat down for 10 hours to get this fauxlocs braids. I did it with wool and I intentionally went for the lengthy one. Pictures are coming soon by the way. 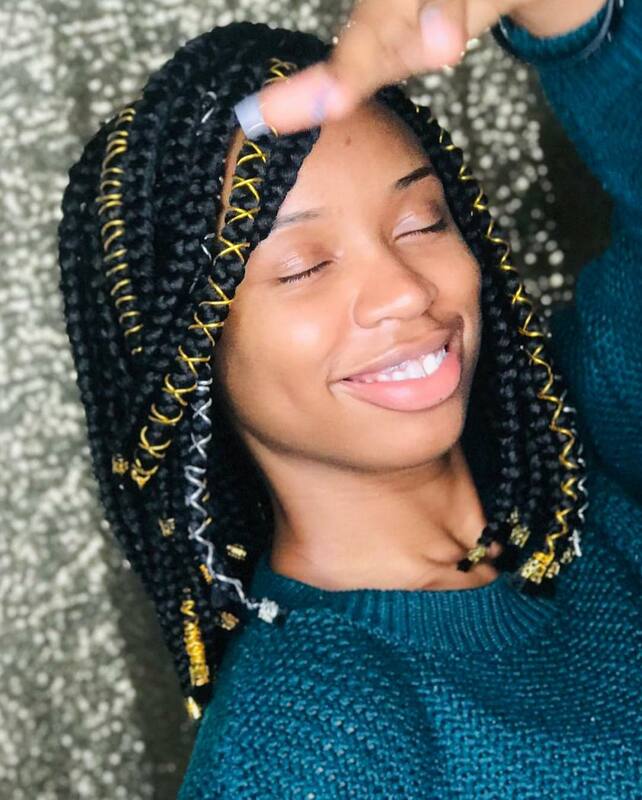 The Egyptian goddess braids are the new thing. 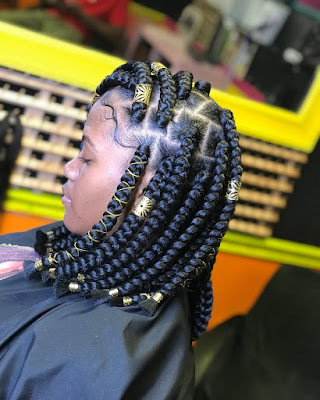 So if you don't really fancy the short bob braids because you think bob braids are always too short or don't touch your shoulders like they should, then I'd suggest you check out these Egyptian goddess braids. They might work well for you. 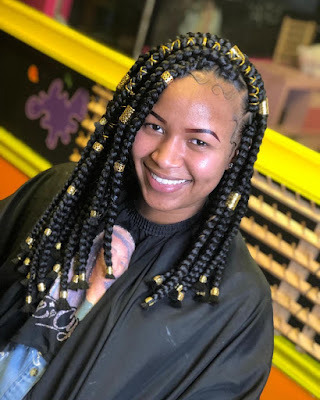 Women of all colors are rocking this braids and guys, it's really an amazing style. 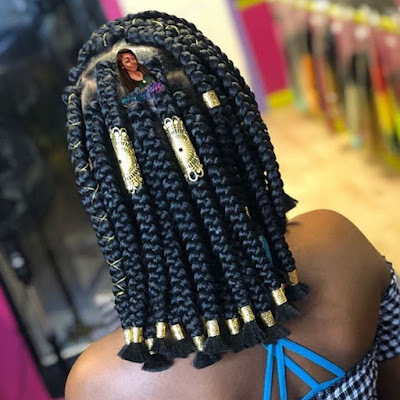 A lot of people have taken to a black extension for this braids but it won't be bad to experiment with other colors. You, those rainbow colors won't rock itself...lol. This is one of the hairstyles that is currently trending and guess what? A lot of women will still wear this braids before the year runs out. What are your thoughts about this style? Do you think it's worth rocking? Do you think your stylist can pull it off for you? Drop your comments in the comment section and don't forget to let your sisters and girlfriends know about this blog.